Engineers are to create a suite of software to enable the design of ocean energy arrays. The initiative will draw on world-leading research and development expertise from partners across Europe to enable open-sea installation of multiple arrangements of tidal stream and wave energy technologies. The project, known as Optimal Design Tools for Ocean Energy Arrays (DTOcean), was welcomed by Scotland’s First Minister Alex Salmond today at the Ocean Energy Europe 2013 conference at Our Dynamic Earth in Edinburgh. 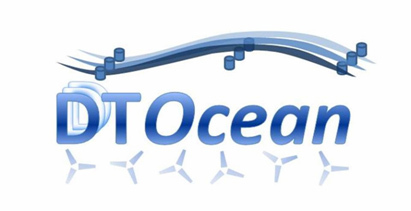 DTOcean comprises a consortium of 18 international partners from 11 countries. These include research institutes, supply chain representatives and project developers, and will be led by the University of Edinburgh. The Euro 6 million project, funded by the European Commission, will take a whole system approach, in which software will be designed to provide information needed for project developers to make informed choices when installing devices within arrays. In a keynote address at the event, the First Minister said: “Scotland’s huge offshore renewable energy resources continue to be matched by its R&D excellence in this sector. And the University of Edinburgh is renowned for the quality of its research and innovation, including its key role in pioneering ocean energy technology since the 1970s when Professor Stephen Salter and his team developed the ‘Duck’ wave power generator.